Molly Tobin wanted to marry money, but she married J.J. Brown instead. “Finally, I decided that I’d be better off with a poor man whom I loved than with a wealthy one whose money had attracted me,” she said. And it worked out well for her, J.J. Brown invented a system of shoring up mine walls and made millions. But before all that, Molly Tobin was just a poor Irish girl living in the shanty town of Hannibal, Missouri. She was born in a little white house on Palmyra street (now Butler street) in Hannibal, just after the Civil War. Her parents were poor, uneducated Irish and had recently immigrated to Missouri. Her father John worked digging ditches for the local gas company. Molly attended school for a few years, but was sent to find a job at 13. She first worked at the Garth Tobacco Factory, where she likely worked 12 hour days six days a week, stripping tobacco leaves from stems. Later she landed a job at the Park Hotel, on the northeast corner of Hannibal’s Central Park. When Molly was 18, she left Hannibal for Leadville, Colorado where she got a job in a department store. The next year, she married 32 year old J.J. Brown, had 2 kids and seven years later the family struck it rich. 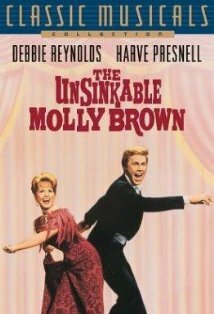 Molly and J.J. bought a mansion in Denver and Molly Brown became an activist, socialite and philanthropist. 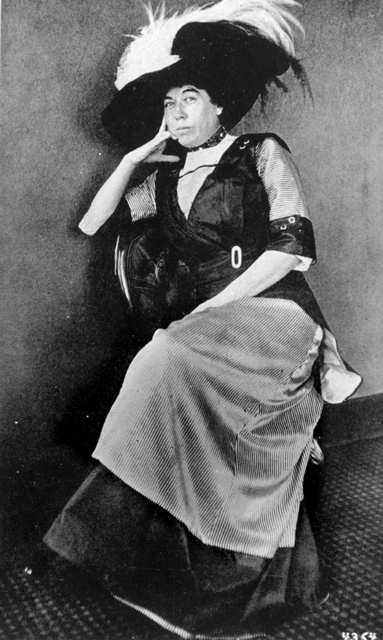 Molly Brown might have gone through life a relatively unknown socialite, but for her voyage on the Titanic. She was touring Europe at the time and purchased a ticket on the Titanic at the last minute to return to the United States and visit her ailing Grandson. She was 44 years old. There’s no doubt that Molly Brown the woman, was a larger-than-life character. She fought for woman’s suffrage, ran for US Senate, established labor unions, and organized the juvenile court system. She combined her nearly 30 years experience living dirt poor with the financial resources of her later years and became a force to be reckoned with. Later in life, she separated from her husband J.J., moved to New York and became an actress. After her death in 1932, Molly Brown the legend was born. Books and articles were written about her fictionalized adventures in Hannibal and Colorado and after wide success in the 1940s these books were turned into a musical written in 1960 and later a film version of the musical that was widely popular. She was a main character in James Cameron’s movie Titanic in 1997. Much of the truly inspiring details of Molly Brown’s life have been omitted from her pop culture depiction, but her spirit remains. Live life to the fullest, treat all creatures equally and no matter what, stay afloat. 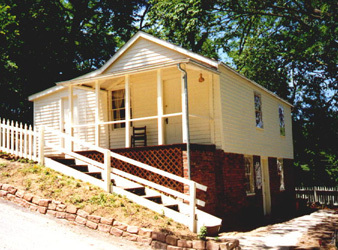 The Molly Brown birthplace museum is open seasonally for tours and is located on Butler street in Hannibal. Molly Brown has a star on the Missouri Walk of Fame in Marshfield. Molly Brown’s Great Granddaughter Helen Benziger does a program about her and can be reached at: HBenziger@kc.rr.com.